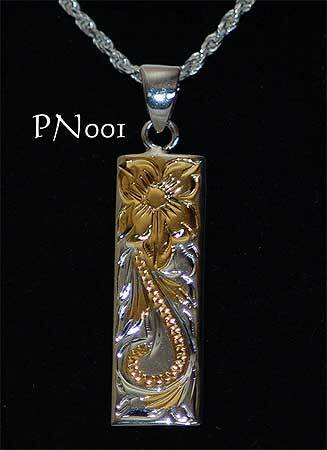 Sterling silver Hawaiian Plumeria (frangipani) flower and Hawaiian heirloom scroll design vertical pendant. Featuring very detailed hand carving, all with 14 carat gold highlights. 34mm drop, 10mm wide.